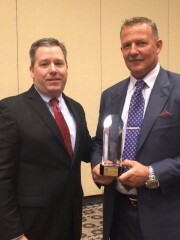 Lee Roberts of Roberts Heavy Duty Towing & Recovery, Lexington, Ky., was presented a Kentucky Highway Safety award for his outstanding safety efforts. 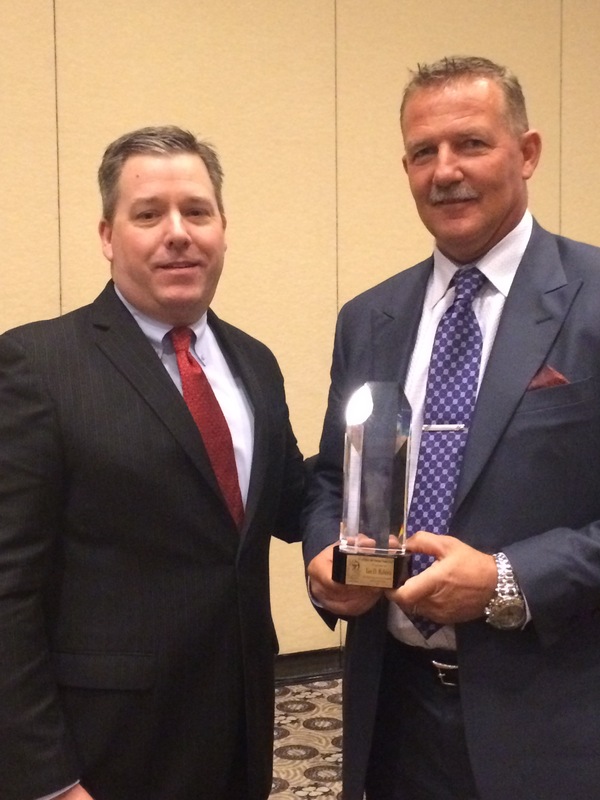 Winter Springs, FL, March 29, 2016	(Newswire.com) - The Kentucky Office of Highway Safety awarded towing company owner Lee Roberts of Roberts Heavy Duty Towing & Recovery, Lexington, Ky., recognition for his leadership and accomplishments in the field, the first time a safety award goes to a towing company. Young and Roberts have worked together throughout the years. He singled out Roberts, born in England, for being an American success story, as well as for donating time and equipment to the State Fire School to help train firefighters; being on-call 24/7 to assist the Lexington Fire and Police departments; and for implementing company procedures to enhance the safety of his customers and crew while on assignment. Roberts also was proud to shine a positive spotlight on the towing industry. “I want our industry to get some recognition,” said Roberts, who has been a towing company owner for over 17 years and serves on the board of the International Towing and Recovery Hall of Fame and Museum, based in Chattanooga, Tenn. Always watching out for the towing industry, Roberts earlier this year helped towing competitor Dewayne “Slim” Hogan get back on his feet after Hogan lost his business in the Blue Grass Stockyards fire in Lexington. Roberts loaned Hogan a tow truck and provided him workshop space so he could continue operating. Contact Lee Roberts, 859-797-1779, at LRoberts@rhdtowing.com for interviews. Tow Times is the leading magazine in the U.S. towing and recovery industry. 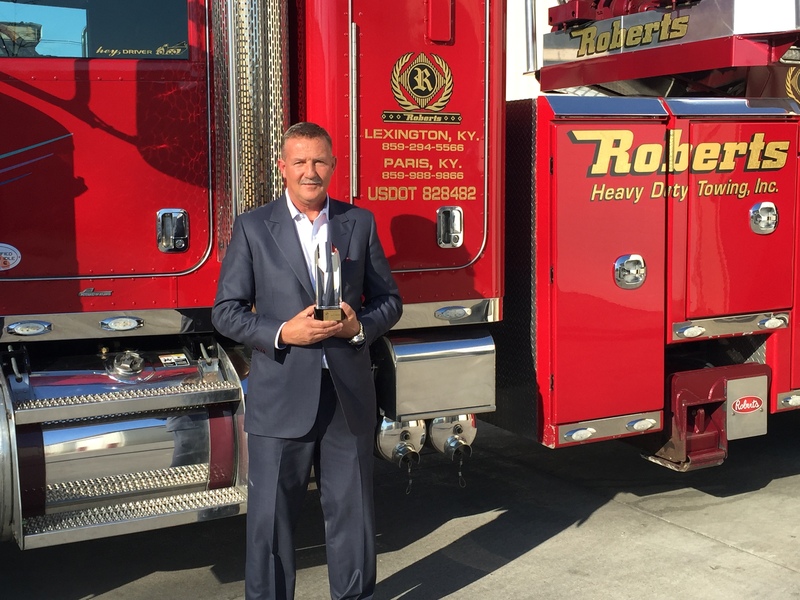 Photo caption B: Lee Robert, president-owner of Roberts Heavy Duty Towing & Recovery in Lexington, shows off his Kentucky Highway Safety Award in front of one of his heavy-duty tow trucks.